Saving some bell peppers after the hail storm. 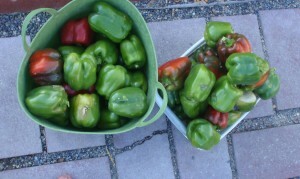 Both hot peppers and bell peppers have been a very reliable garden crop for me here in southwest Idaho. 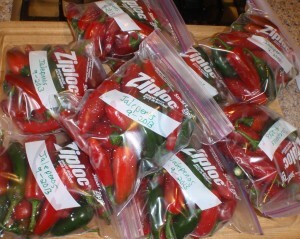 Not only do they thrive on hot dry weather, but the peppers don’t have to be perfect in order to use them. If they get some sun scorch or are chewed on a bit, it rarely ruins the whole pepper. I was even able to salvage quite a few of them, that had been somewhat protected by foliage, after a torrential hail storm this year. Being a dry, hollow vegetable means the damage tends to be limited to that area. The rest of the pepper can be cut up and used. When decideing which kinds to plant, some attention may need to be paid to number of days to maturity. However, besides there being plenty of varieties that have time to produce well in our shorter warm season, the peppers don’t have to be fully ripe to be enjoyed. 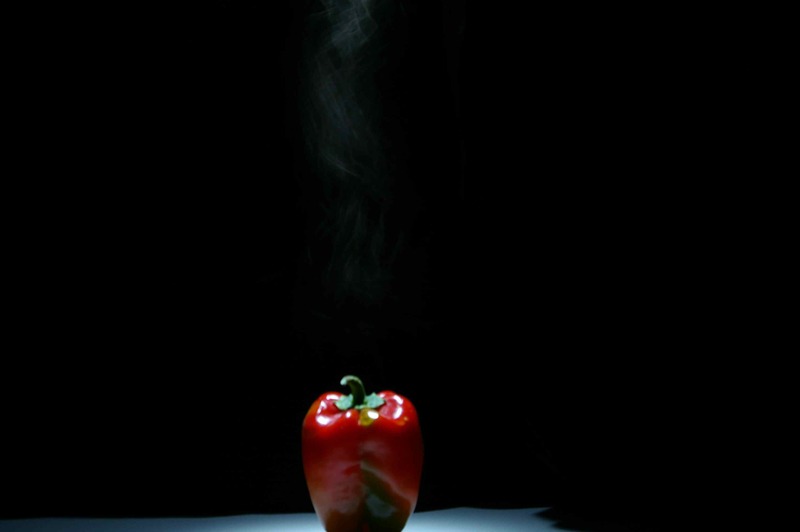 They might vary some in sweetness or the internal combustion factor, but they will taste like peppers. We have already frozen about 3 times this many bell peppers! To make life even easier, peppers take less processing than any vegetable that I know of. They can be dried simply by neglecting them on a towel on the dining room table. I know this to be true because I accidentally dried some of my earliest jalapenos that way this year. I have dried a paprika peppers on open screens suspended flat from chair to chair. Hot peppers are often so dry when they are colorfully ripe that they seem half dry already. Fortunately, they don’t continue to dry at a fast rate. Like all peppers I have grown, they seem to hold well for quite a few days, both at room temperature or in the refrigerator if there is space, if other things need to be processed. They last better if they haven’t been washed first though, because not only does the moisture on the outside invite rot, but there are holes in enough of the peppers that water will get inside to form little hidden ponds. Stuff grows in ponds. Still, even if they get a touch wrinkled, we will save them. Afterall, they are probably just partly dry, not spoiled. Bell peppers are almost as easy to save. We mostly use them for fajitas, so they are sliced into strips and vacuum sealed in meal size portions. They are not very messy, so they are one of the things that dear husband slices while on the couch relaxing in front of the TV. This year, I have enough freezer space to save a few whole and cored to try stuffed peppers mid winter. We have never had bell peppers in our freezer more than a year, so I can’t tell you if their flavor lasts as nicely as hot peppers. 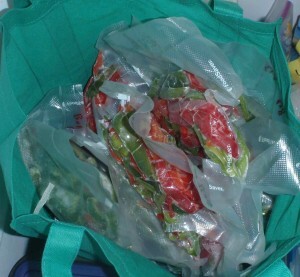 Vacuum sealed bags do not stack well. I have taken to using some of my reusable cloth grocery bags to keep things compartmentalized. Sometimes I leave things like my frozen cans of juice concentrate in them after grocery shopping. This is especially useful in the old chest freezer, which does not have dividers. This seems to make better use of space than hard plastic bins (which can also tend to crack when frozen) because the bags assume the shape of the contents and they can be folded smaller as the contents diminish. The handles also make it easier to pick them up. I may try pickling some hot peppers for the first time this year. The hot pepper eater is interested in trying them. 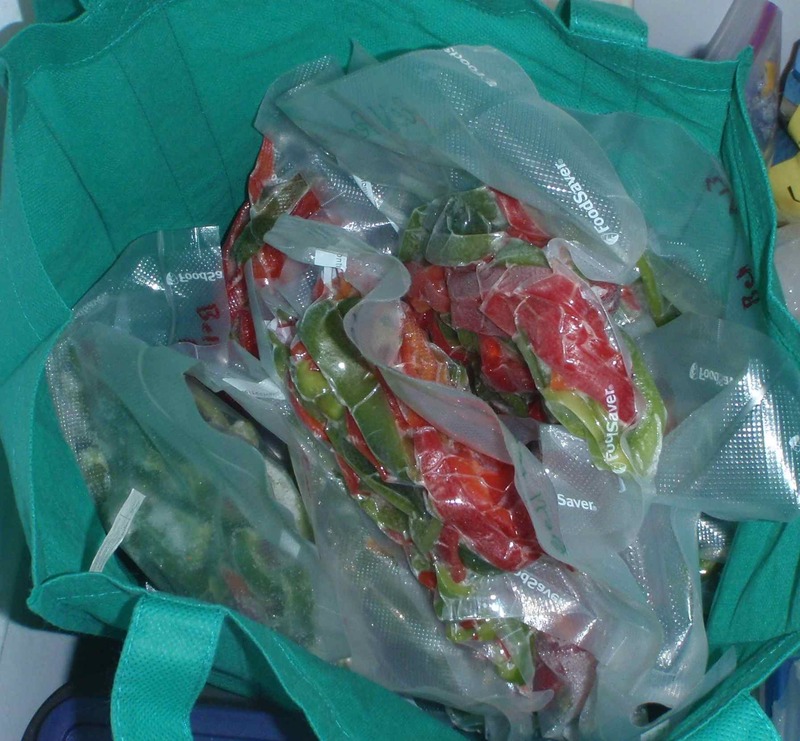 But with freezing peppers being so easy and fast, plus they are simple to use right out of the bag, I expect freezing peppers to be our main storage method for the foreseeable future.